US Navy photo by Mass Communication Specialist 2nd Class Huey D. Younger Jr.USS Lassen patrols the eastern Pacific Ocean. 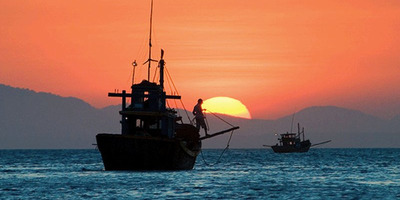 The US warned Beijing on Thursday that it could take out its islands in the South China Sea as military tensions in the important waterway heat up. China has flatly denied any militarization of its artificial South China Sea islands, even as it deploys missiles and lands nuclear-capable bombers there. Increasingly, China is bullying its neighbours and taking small acts of military force against US allies. 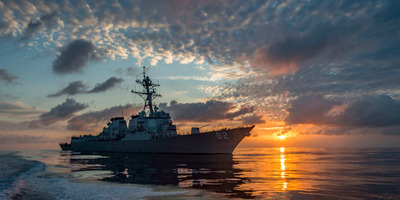 The US has already said it won’t stand for the Chinese Communist Party’s doublespeak and has a legal case for using military force to protect freedom of navigation in the South China Sea. The US issued a stark warning to Beijing on Thursday, as Chinese militarization of the South China Sea creates a potential flashpoint in a longstanding battle for control of the Pacific. 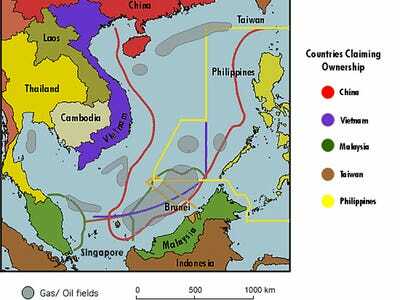 For years, Beijing has dredged the South China Sea to build artificial islands in waters it claims as its territory. Six of China’s neighbours also lay claim to conflicting patches of the South China Sea. The body of water is home to natural resources, and trillions of dollars’ worth of trade passes through every year. In 2016, an international court ruled that China’s claims to the precious waterway were illegal, but Beijing made a show of ignoring that ruling. It upped the ante this year by breaking a promise not to militarize the islands with missile deployments and with landing nuclear-capable bombers on the islands. 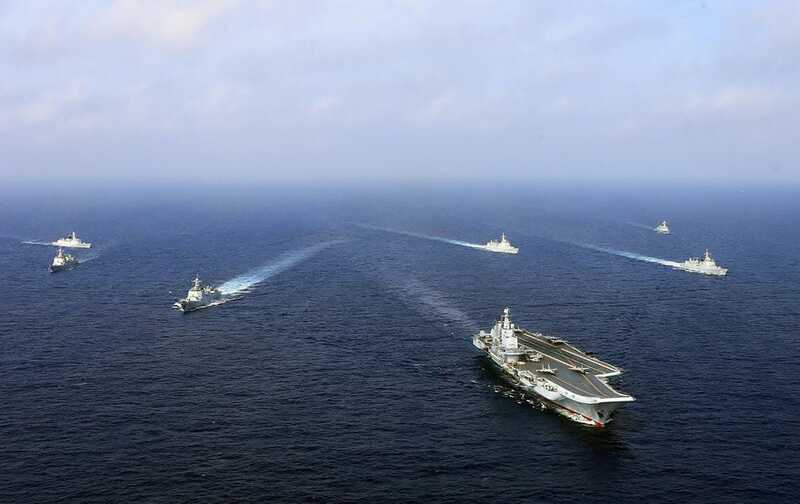 The US has been the main challenger to China’s maritime claims and in doing so has provoked the bulk of Beijing’s rage, which is often expressed in a kind of doublespeak common for the Chinese Communist Party. But on the same day, the Chinese state media detailed plans to prepare a military response to US interference. “How can anyone argue with a straight face?” Bonnie Glaser, the director of the China Power Project at the Center for Strategic and International Studies, told Business Insider. “How can anyone say this is not militarization? It’s a patent lie.” She said the ranges and functions of missiles China placed on the islands pointed to a clear military utility. AFP/Getty ImagesChina’s sole operational aircraft carrier, the Liaoning, with other ships during a drill in April. 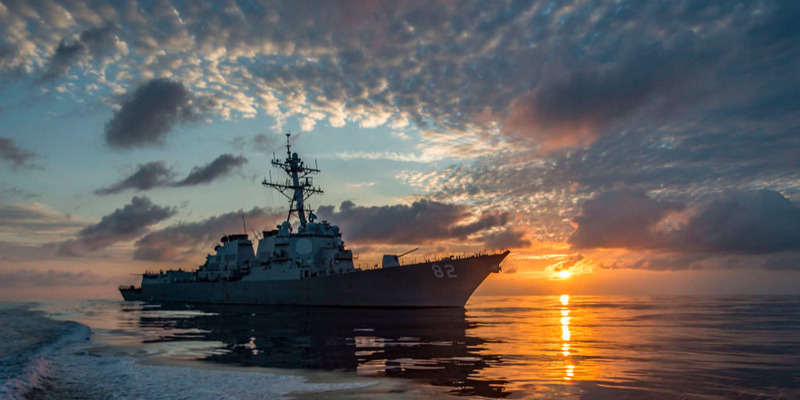 Beijing’s militarization of the South China Sea isn’t just a potential threat to the region. Beijing is already using hard power to force out other countries and assert its dominance. Most recently, on May 11 a Philippine navy ship was harassed by two Chinese vessels while trying to resupply Filipino marines in the disputed waters. A helicopter reportedly got dangerously close to the small, rubber Filipino ship and chased it off. “If the Chinese start blocking supply operations,” the Filipino marines “could starve,” Glaser said. The Philippines are a longtime US ally. The US has massive military bases there and a duty to protect it. Glaser said this was the first time the actual Chinese navy had announced involving itself in a patrol of the waters, marking an escalation of conflicts. “The other night, the president said if his troops are harmed, that could be his red line,” President Rodrigo Duterte’s national security adviser said of the South China Sea. It’s unclear whether Duterte would enforce that red line, but the legal case and practical need for military conflict in the South China Sea are there. The US reminding China that it can destroy its islands there could be a sign of things to come as the Chinese Communist Party increasingly tries to flex its muscles against freedom of navigation.